Counted as first among the best coaching centers in Chandigarh, Statesman provide students with effective study materials and coaching. 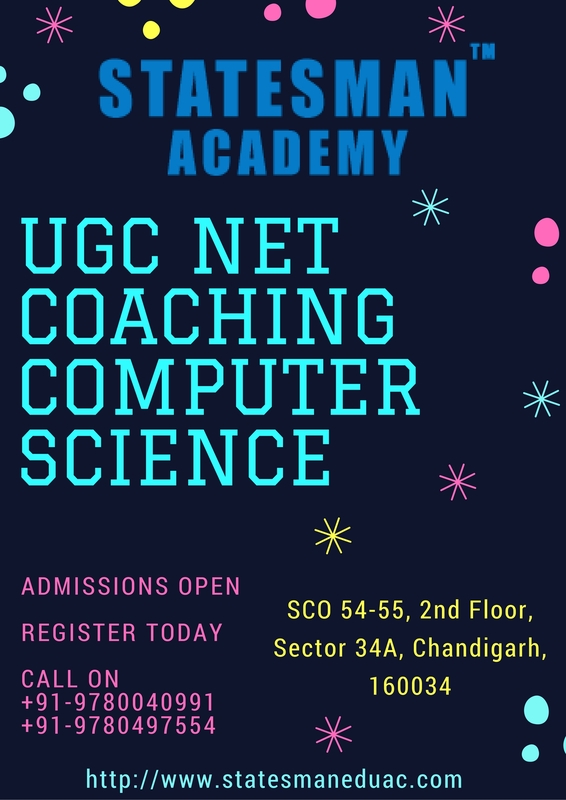 UGC NET Coaching for Computer Science can be attained from Statesman under the supervision of qualified teachers and other support staff. Improving the analyzing ability of students can be attained through different previous year paper solving sessions and model paper solving sessions. Special classes/doubt clearing sessions can be availed by the students from brainstorm achievers.